This week my coworker and I were traveling up to Nashville for some business and passed through Chattanooga around lunch time, so we stopped downtown to find a local spot for lunch. We walked by a few spots but they were either a major national chain or just didn’t look appealing. 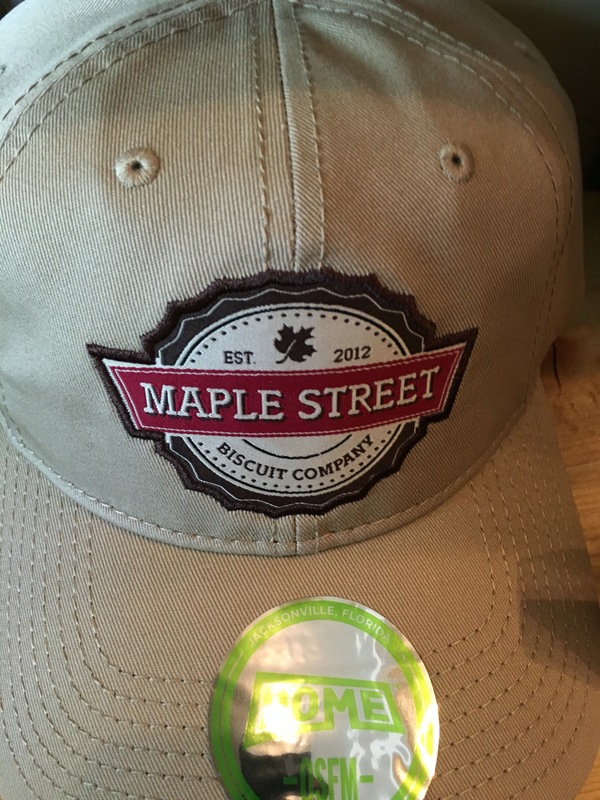 That is until we walked by Maple Street Biscuits. Something about this place drew our attention. Maybe it was their hat collection? Ok, so it wasn’t their hats but I didn’t capture a picture so that I would remember where we ate. Little did I know that their food would do the talking in my memory bank. 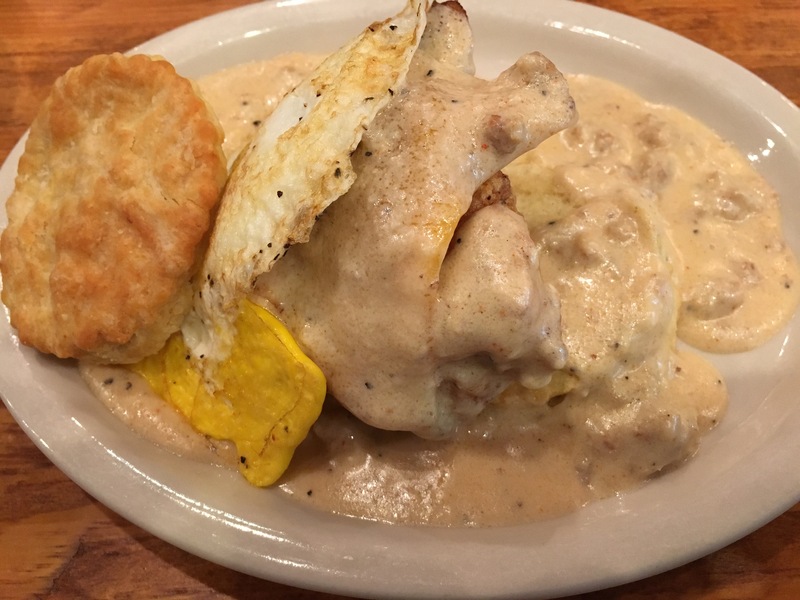 Their menu was focused around homemade biscuits, gravy and fried chicken. Those 3 things alone would have been amazing but it didn’t stop there. Looking at their menu offers lots of great options. I went with the Five & Dime, fried chicken, cheese, BACON, fried egg, spicy gravy and of course biscuit. This was delicious. Probably the best “sandwich” you eat with a fork in I don’t remember how long. If you’re ever in downtown Chattanooga I encourage you to stop in for a meal.